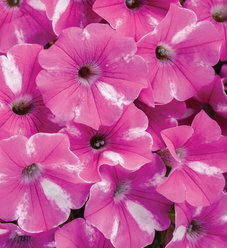 Supertunia Mini petunias are very strongly trailing, with very little height. 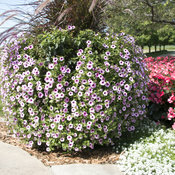 They will function as spillers in containers, but are also good as front-of-the-bed plants for landscapes. 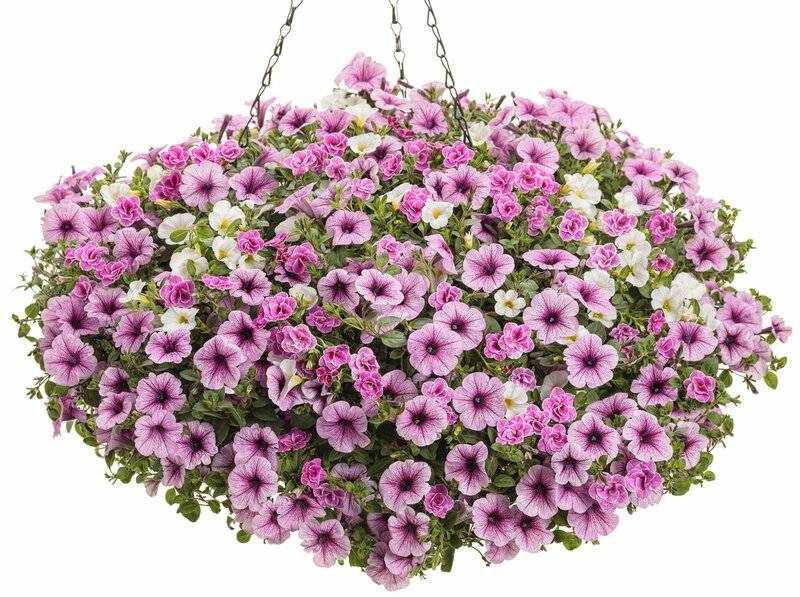 If your goal for hanging baskets or window boxes is to have the plants be as long as possible, Supertunia Mini is the best choice. They have small flowers. 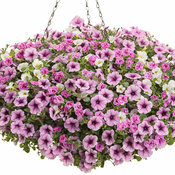 Use in hanging baskets, window boxes, landscaping and combinations planters. Self-cleaning, no deadheading necessary, this is not necessarily true of all Petunias. 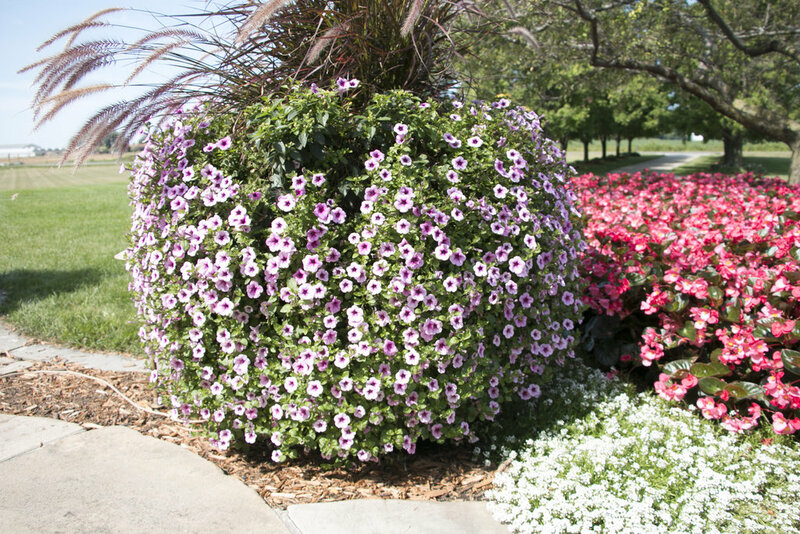 Fertilize often for best summer performance. 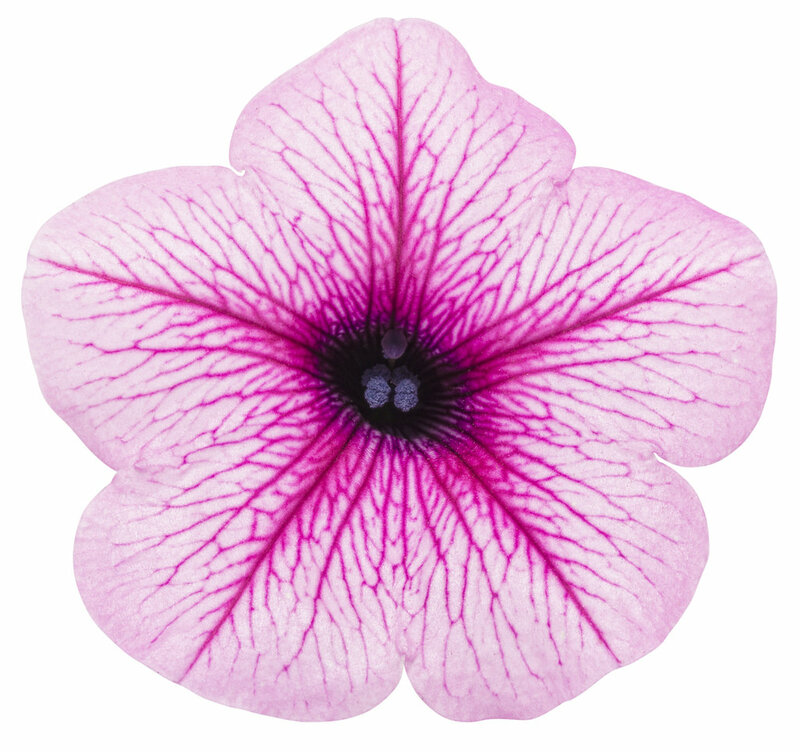 I was sent this Supertunia Trailing (Mini) Rose Veined as a free gift for my first order here and I have been absolutely delighted with it's performance. This plant is by far the best, most prolific bloomer I've ever grown with pretty foliage all summer long. It's hardy in my hot and humid Florida climate but seems to thrive even as fall approaches with 50 degree temperatures at night. 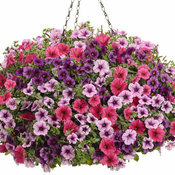 I will buy this particular Supertunia every year if I can. I've had to resort to buying online because I can't find Supertunias locally. 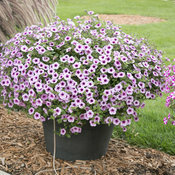 This is a tough plant and it blooms beautifully! This plant is beyond amazing! 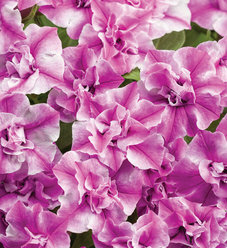 They are packed full of blooms and have grown 2+ feet in trailing length. 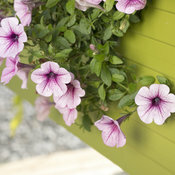 I planted these both in the landscape as well as containers and both have exceeded my expectations. Can't wait to buy these again next year! 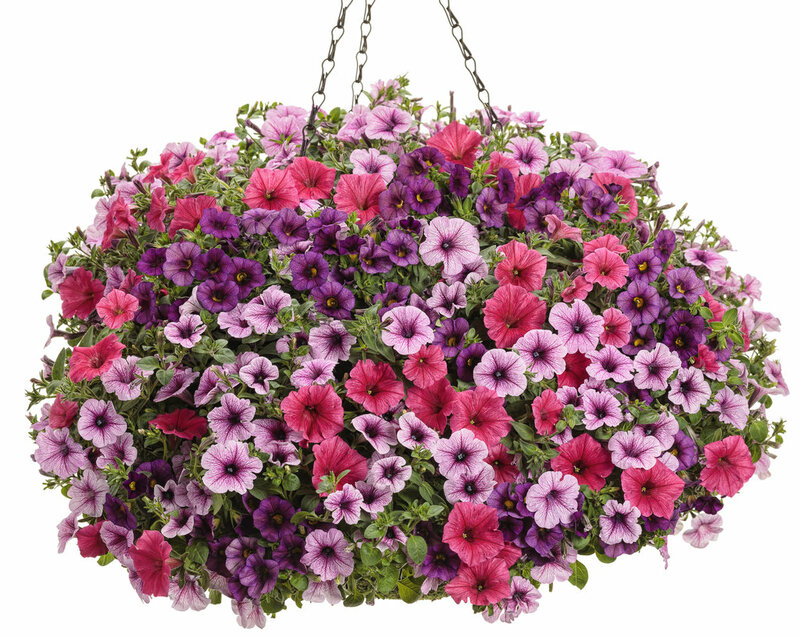 I was able to get both hanging planters and 4" pots several years ago from my local retailers and loved this petunia for its showiness and ability to stand up to heat in my 7 window boxes. Trailed beautifully without getting leggy! The past 4 years have not been able to find it at any of the 5 Proven Winners retailers in my location and am disappointed with the choices I've had to resort to. 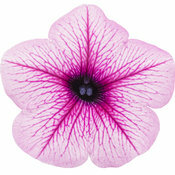 Looked gorgeous mixed with the magenta supertunia . I tried raspberry blast one year, then strawberry blast another year, both having the tendency to return to their mother plant single color plant (ie solid color vs striped) during the year. This year I'm trying two hanging planters of Picasso in Pink and 7 window boxes a combination of 21 Picasso and 14 Sweet Caroline sweet potato vine. Problem was when I got home from the garden store, they had planted the hanging plants with the "pink" Picasso, while the 4" pots of the other Picasso were a deeper magenta color (can't remember color). Realized too late after everything was planted and I looked at all plant tags that they were different colors...my mistake I guess, but I wouldn't have thought to check either...now I will. Great plants anyways tho'. Never going back to scraggly petunias! 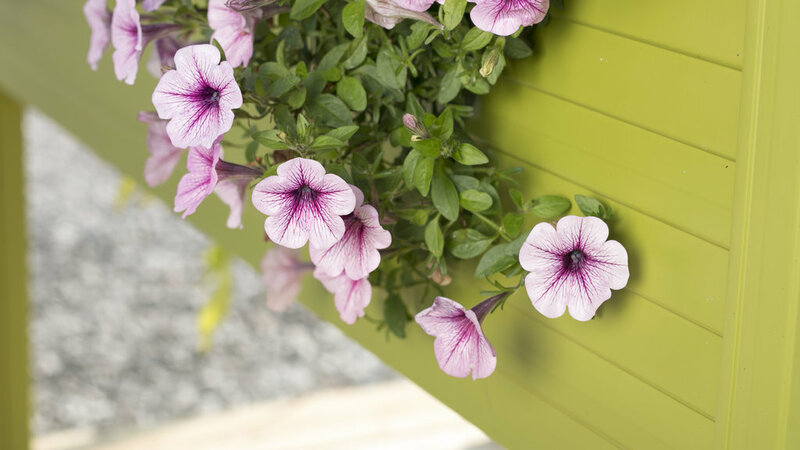 I was able to get both hanging planters and 4" pots several years ago from my local retailers and loved this petunia for its showiness and ability to stand up to heat in my 7 window boxes. Trailed beautifully without getting leggy! The past 4 years gave not been able to find it at any of the 5 Proven Winners retailers in my location and am disappointed with the choices I've had to resort to. 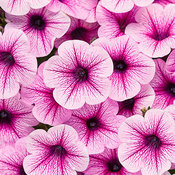 Looked gorgeous mixed with the magenta supertunia . I tried raspberry blast one year, then strawberry blast another year, both having the tendency to return to their mother plant single color plant (ie solid color vs striped) during the year. This year I'm trying two hanging planters of Picasso in Pink and 7 window boxes a combination of 21 Picasso and 14 Sweet Caroline sweet potato vine. 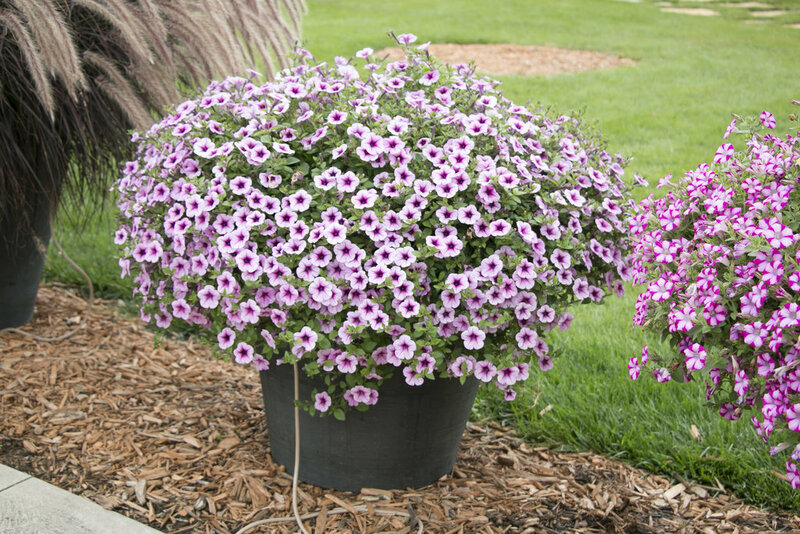 Problem was when I got home from the garden store, they gad planted the ganging plants with the "pink" Picasso, while the 4" pots of the other Picasso were a deeper magenta color (can't remember color). 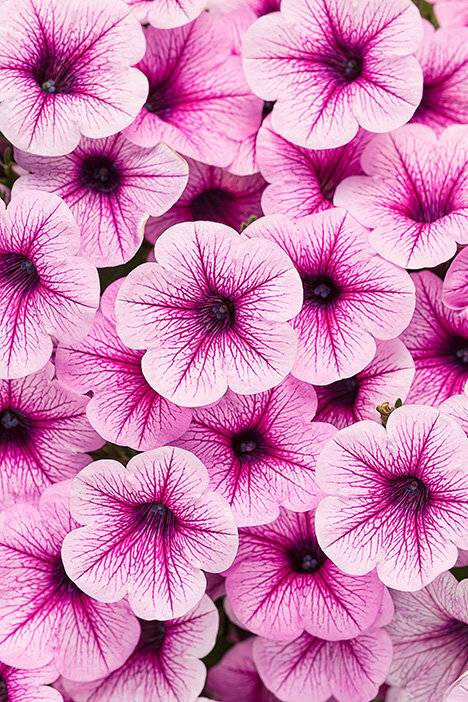 Realized too Karen after everything was planted and I looked at all plant tags that they were different colors...my mistake I guess, but I would have thought to check either...now I will. Great plants skyways tho'. 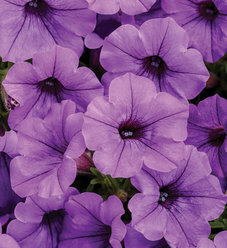 Never going back to scraggly petunias!